"It takes creativity to make the next step in a newer, more shocking direction, but it takes a visionary to go beyond the breaking point and meet music on the other end of the spectrum. That’s what Michael Garfield does." "Monstrously talented...an act the likes of which I have not seen in a long time." Michael Garfield writes music for which new words must be invented. Simultaneously tender and apocalyptic, chill and energetic, intensely technical yet vulnerable tunes that reimagine folk and psychedelic rock alike, updating "solo artist with guitar" to suit our age of planetary renaissance. The sheer diversity of acts with whom he's shared a stage speaks for itself: Gaudi, Papadosio, Taylor McFerrin, Willy Porter, Random Rab, Tim Reynolds, That 1 Guy, Zach Deputy, The Floozies, Rena Jones, Andreas Kapsalis Trio, DVS*, and side projects of both Beats Antique and The String Cheese Incident. 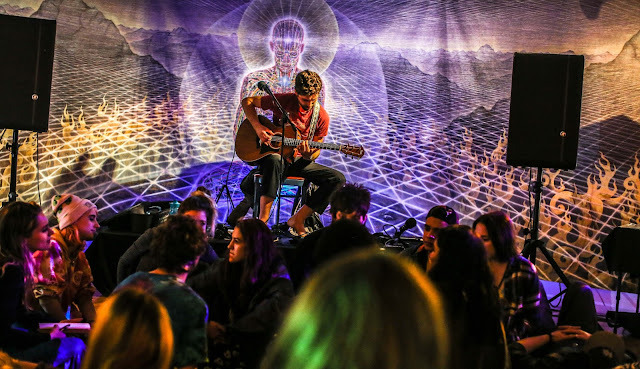 He has jammed onstage with many more – including Fareed Haque, Entheogenic, Bird of Prey, The Human Experience, Ayla Nereo, and Erothyme. 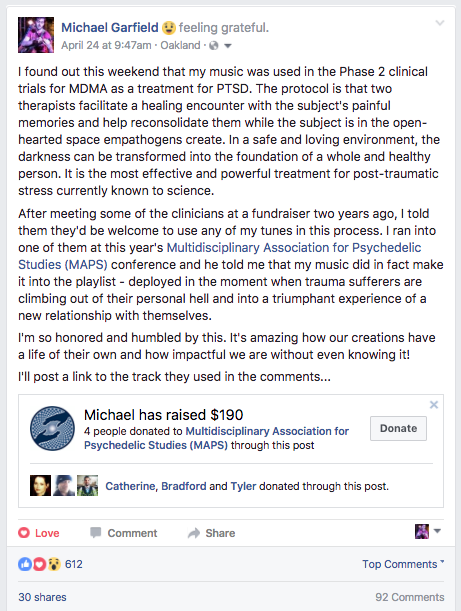 Fresh from a month-long tour of the Australian electronic music festival circuit, Michael has also given notable performances at Boom Festival's Chillout Gardens, Burning Man's Fractal Planet Village, Wakarusa Festival, SXSW, the MAPS Psychedelic Science Conference, Art Outside (five years), Sonic Bloom (five years), and Alex Grey's Chapel of Sacred Mirrors. Exploring and embracing the creative possibilities of new media has always been at the heart of Michael's work. 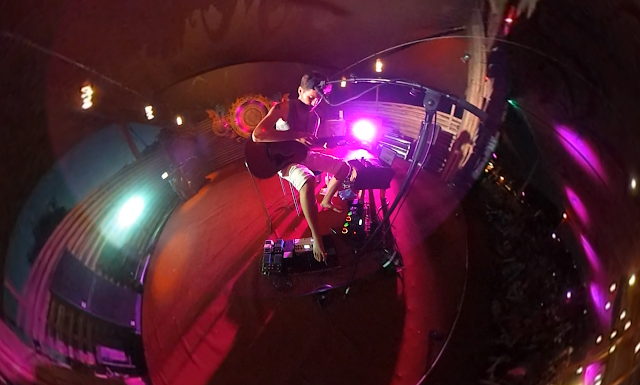 In 2013, he became the first musician to stream point-of-view video from Google Glass through a projector on stage, allowing audience members to watch the show through his eyes. 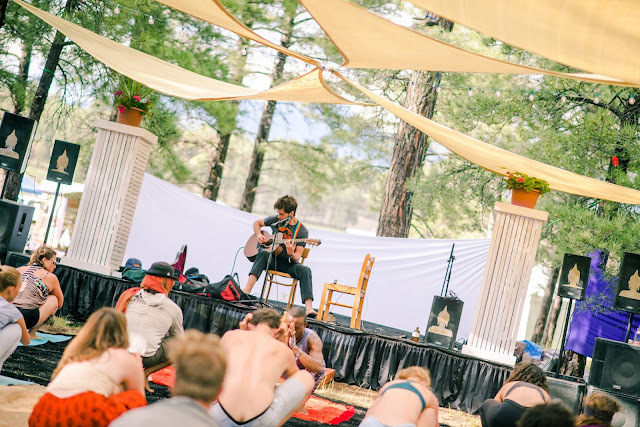 Passionate about interdisciplinary collaboration, he frequently co-improvises with fire dancers, aerialists, live painters, and visual projectionists. Founder and curator of the groundbreaking Loopers' Night and Paint Jam monthlies in Austin, Texas, Michael leads an ever-growing cast of collaborators into daring and delightful multi-media adventures. 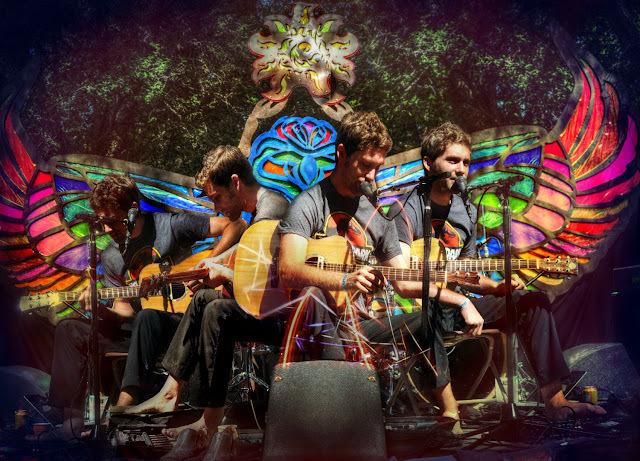 His music has been featured on PBS as the soundtrack to Arts in Context, as well as on numerous podcasts (including Expanding Mind and The Psychedelic Salon) and documentaries (Psychedelic Science 2017, Soldiers of the Vine), and as the title music for The Invisible Room. "Intoxicating, rejuvenating, and unapologetically spiritual work...entertaining songs that completely upend the stereotypes of intelligent music...instantly memorable and utterly magnetic tunes whose authenticity and sweetness is boundary breaking." "Michael Garfield's extraordinary acoustic work...finds the ears captivated and entranced in a dance of delightful sonic textures. A gifted instrumentalist, Garfield's vocal prowess should not go unheard either, resonating in haunting fashion, full of chills and thrills. 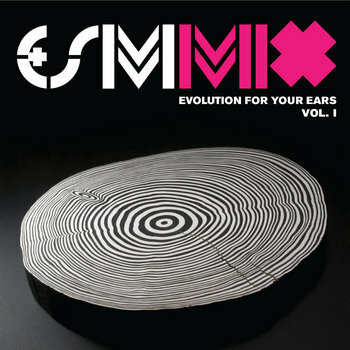 This is wonderful, simple music for the listener's ears to feed on." "A transcendent exploration of what one man can achieve with an acoustic guitar and some pedals...the glitched-out grooves [are] simultaneously calm yet very much switched-on." the musicianship on this album is truly wonderful." Michael is a pioneer exploring the edge realms where the electric and old world meet." "Phenomenal. I love the blurring of lines between performance-composition, space-time, etc. It's very moving too, and very strange. Awesome stuff." "So so so SO Good!! Yay and wow." "Unique and amazing....something sorely lacking in the world in which we live where cookie-cutter boys and girls are given stardom on a daily basis. In this world, [Michael is] a supernova."